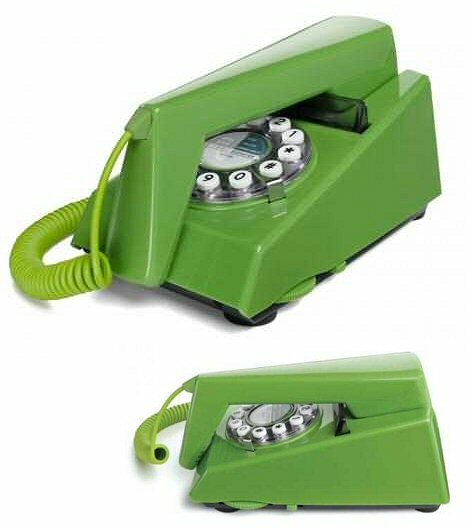 Authentic Re-production of the original Trimphone telephone in green. This working telephone has today's technology, a functioning push-button dial, with last number re-dial. The volume of the famous Trimphone electronic ring can be controlled using the rotary control wheel on the side. TRIM stands for Tone Ringer Illuminated Model: it was the first phone to ring using a modern electronic warbler rather than the traditional bell mechanism. This replica version has all the style and features of the 1970s original but with modern push button dialling.